PC-DMIS Gear Software - CMM Inc.
PC-DMIS Gear makes it possible for non-experts to begin measuring gears quickly. PC-DMIS GEAR is the foundation of EMS. With advanced results and reliability, PC-DMIS Gear makes measuring easier by building straightforward inspection programs and generating advanced reports. Not only does PC-DMIS Gear have the ability to simplify a difficult measuring job, but it also makes it possible for non-experts to begin measuring gears quickly. PC-DMIS Gear utilizes the core capabilities of PC-DMIS, by using the advanced gear measurement algorithms of QUINDOS, a sophisticated metrology software developed by the engineers at Leitz, a Hexagon Metrology company. 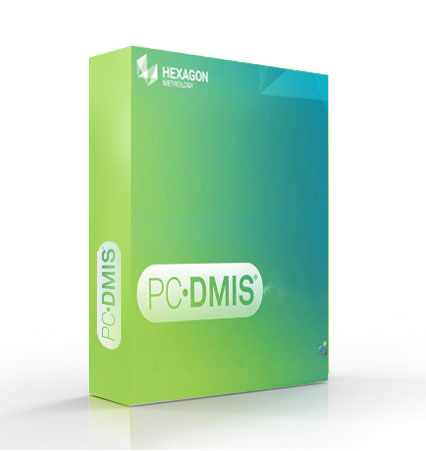 With PC-DMIS Gear, simply tell the software what to do by filling out a rules-driven form, then setup reports by choosing a set of pre-defined, standard formats. After both of these steps are complete, it’s simply a matter of starting the measurement cycle. PC-DMIS Gear also has the ability to reduce the complexity of part and probe qualifications. Furthermore, using a combination of forms, wizards and pre-defined routines, this system makes it possible for non-experts to calibrate probes and define datums - with minimum effort. PC-DMIS Gear supports a wide range of international standards. Users can easily switch among various international standards for evaluating gears. For spur and helical gears, PC-DMIS Gear supports AGMA 2000-A88, DIN 3962, JIS B 1702 and ISO 1328. For spiral and bevel gears it supports AGMA 2009, AGMA 390-03A and DIN 3965.